UpToDate® — Smarter Decisions. Better Patient Care. 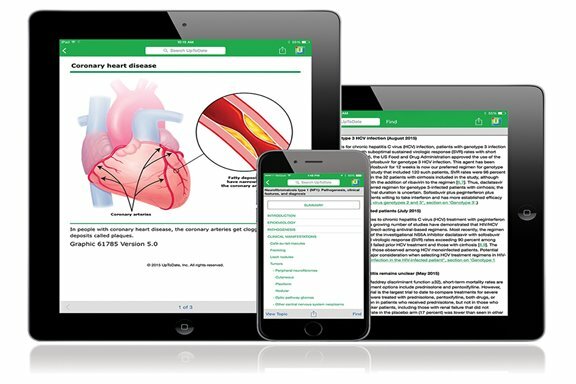 For more than 25 years, medical professionals around the world have relied on UpToDate as their primary source for medical knowledge at the point of care. 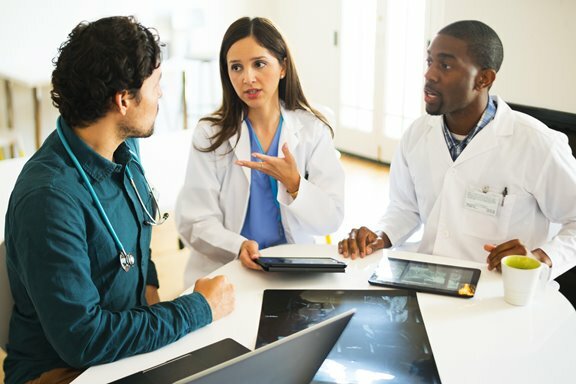 With UpToDate, you can access evidence-based clinical information around the clock, and find the answers you need when and where you need them – quickly and easily. 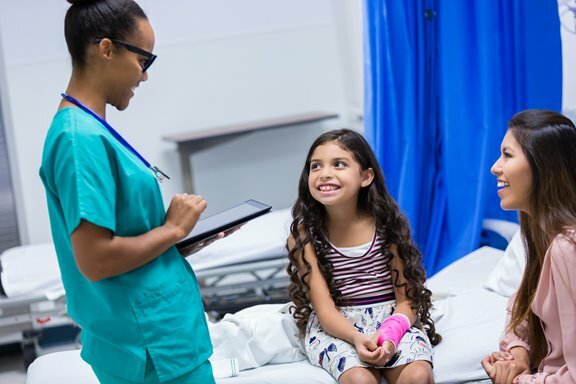 UpToDate is committed to innovation and value so we continually make enhancements that help medical professionals provide better patient care. View our sample topics to see how you can benefit from an UpToDate subscription! UpToDate provides individuals in group practices instant access to the latest evidence-based knowledge. 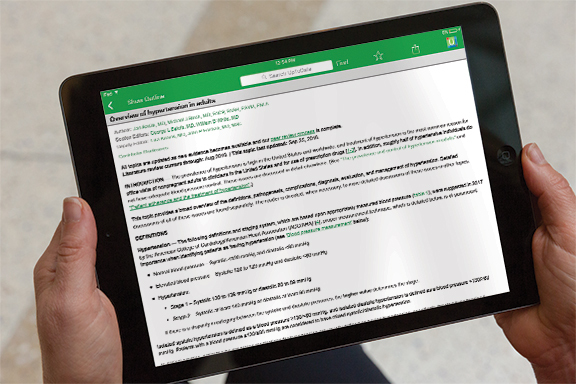 * Access to UpToDate Mobile Apps or UpToDate MobileComplete® requires an individual subscription. Wi-fi access is required for initial MobileComplete download as well as content updates. For more information on supported devices, please visit uptodate.com/mobile. © 2018 UpToDate, Inc and its affiliates and/or licensors. All rights reserved.